The 2012 SCBWI Summer Conference (#LA12SCBWI) Is Sold Out! Hopefully you'll be joining us here in Los Angeles starting this Friday. If not, follow along and get a taste of the craft, business, inspiration and community here at the Official SCBWI Conference Blog and on twitter at #LA12SCBWI. Pat: I started off writing a book about a third grader who didn’t like carrots. That gradually morphed into a story about an eighth-grader who hated school. For me, the emotional core of a novel usually happens while I’m looking somewhere else. It wasn’t until eight or nine drafts in that I realized I’d written a love story, about the power of small kindnesses and paying attention. Lee: I like how you put that, the emotional core of a novel. How long have you been involved with SCBWI, and can you share what you feel you've gained by being a member? Pat: I joined SCBWI sometime in the late 90s, and was immediately overwhelmed by the written information I received. In 2000, I attended my first conference in Minnesota. That day was a wonder to me. I’d had no idea all that knowledge and support and community was out there. The conference opened many doors for me in terms of connections, craft, and understanding of the business. I especially appreciate SCBWI’s emphasis on professionalism, and on working in community. I’m now in the Wisconsin chapter, and I can’t begin to say how much I appreciate being part of such a strong and supportive network of writers and illustrators. When people ask me how to become a writer for kids, I tell them the first thing to do is join SCBWI. Pat: Make sure it’s fun. If the writing is drudgery, then I need to either find a way to make it fun, or do something else. 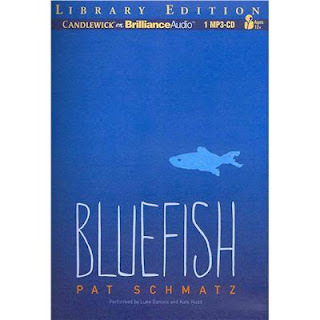 I did eleven full revisions of BLUEFISH, and with each new revision I found the fun. Eleven rewrites made for hours of self-entertainment, and it’s cheaper than plenty of other ways I could occupy myself. Everything that has come since is pure bonus. We're so excited and happy for Pat! She is a dedicated, generous writer, and we're glad to have her in Wisconsin! Our chapter has about 360 members, mostly in the southeastern (Milwaukee) and southwestern (Madison) parts of the state. We hold two main events each year, a Spring Luncheon and a Fall Conference. Workshops and other smaller gatherings are held throughout the year, many organized by one of our four Area Representatives. At Wisconsin’s 2010 Fall Conference, Pat presented an inspiring talk on Fierce Revision. By popular demand, she expanded it into a longer presentation in May 2011 for members in the northeast quarter of the state. To find out more about Pat, visit her website here. To learn more about SCBWI Wisconsin, check out their regional site. My thanks to Pat and JoAnn, and Cheers to Pat for winning the Crystal Kite Members Choice Award for BLUEFISH! 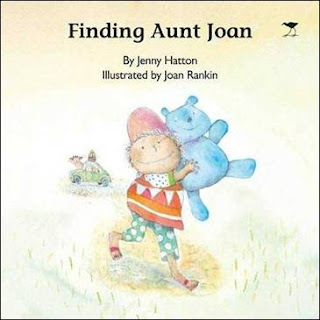 In the Africa division, the 2012 Crystal Kite Members Choice Award Winner was FINDING AUNT JOAN by Jenny Hatton, illustrated by Joan Rankin. Lee: Congratulations on Finding Aunt Joan, being awarded the Crystal Kite Members Choice Award for Africa! Please tell us about your book! Joan: Finding Aunt Joan is a family story aimed at a 4 year old girl but all ages including parents will relate to it. Anyone who has traveled with a family and pets in a small car and been lost in a strange town will smile and sympathize. Joan: Joining SCBWI must have happened in 2006. This introduced me to a whole lot of illustrators and writers in the area that I never knew existed. It was such an eye opener after working for so long entirely on my own. The magazines have given knowledge of how things work and this along with tips and new ideas has been such a blessing. Sharing really makes all the difference. Joan: Love the work with a passion. Top quality and never under estimate children. Illustrated books are enriching. Publisher Days - opportunity to pitch work to publishers (15 minute slots). Conferences (last year we incorporated this in a six-day Spring Event which Steve and Sally attended. We also had a celebratory lunch. Formal presentations - these have ranged from presentations by well-established artists (e.g. Niki Daly) to presentations on the educational publishing and the reading process and educational publishing (this had experts on the reading process as well as publishers who explained their publications' view of reading. Informal get-togethers - these create an opportunity to share achievements or network or just strengthen bonds. We are also proud that SCBWI SA is one of the nominating bodies for the Astrid Lindgren Award. Marjorie and I are thrilled that Jenny and Joan's book was chosen. They are both active SCBWI members. Jenny has been the ARA in SA since 2007 and has done a wonderful job of builiding up the branch in Gauteng. Joan Rankin generously shares her talent and many people have benefited from the workshops she has done. She is a firm supporter of SCBWI events and the book flows from a workshop she gave at an SCBWI retreat! You can find out more about Jenny Hatton here and Joan Rankin here. And dive into all SCBWI South Africa has to offer at their website here. My thanks to Joan and Elaine, and cheers to Joan and Jenny for winning the Crystal Kite Members Choice Award for FINDING AUNT JOAN! #LA12SCBWI is 10 days away... Check out these Team Blog pre-conference Interviews! With the 2012 SCBWI Summer Conference (August 3-6, 2012) coming up, Team Blog has been hard at work, conducting pre-conference interviews to give you a glimpse into the craft, business and inspiration awaiting attendees. And if you can't attend this summer's conference, they still make for very interesting reading... with great tips and information! Holly is in the unique position of not only being the Crystal Kite Winner, but she's also the Regional Advisor for Japan's SCBWI Tokyo Chapter! Lee: Congratulations, Holly! Please tell us about your book. Holly: Thank you, Lee. It’s such an honor for Orchards to receive this Crystal Kite recognition from fellow SCBWI members. Orchards is a novel in verse about Kanako Goldberg, a half Japanese and half Jewish-American girl sent from New York to spend the summer with relatives in Japan after the suicide death of a classmate. In her mother’s ancestral village, Kana spends hours under the hot sun tending to her family’s mikan orange groves. Kana’s mixed heritage makes it hard to fit in at first, especially under the critical eye of her traditional grandmother. But as the summer unfolds, Kana comes to know her relatives, Japan, and village culture, and she begins to process the pain and guilt she feels about the tragedy back home. Then news about a friend sends her world spinning out of orbit all over again. Orchards raises tough questions about teen depression, bullying and the consequences of not taking action. But Orchards is also a story of identity and friendship, of finding hope and home. Lee: It sounds wonderful! How long have you been involved with SCBWI, and can you share what you feel you've gained by being a member - and a Regional Advisor? Holly: I joined SCBWI as soon as I learned of the fledgling SCBWI Tokyo chapter and soon afterward became RA in 2005. Thanks to many key volunteers, SCBWI Tokyo has grown in those years from a few individuals to a dynamic chapter with regular monthly events for writers, illustrators and translators (Japanese to English). Because I have attended all but a handful of events since SCBWI Tokyo formed, I have learned from eight full years of guest speakers—publishers, editors, agents, authors and illustrators, as well as critique groups and workshops, and this involvement has been fundamental to my development as a children’s book writer. I’ve also attended SCBWI conferences in New York, Los Angeles, Bologna, and the Asian Festival of Children’s Content in Singapore that SCBWI co-sponsors. I really believe that my SCBWI RA involvement has been as significant and meaningful as my graduate degree in creative writing. Holly: Focus on craft. Get better and better and better. Push yourself far beyond your comfort zone. Do not stick with one story or one type of story; have multiple projects in different stages going at once. Finish one project and move on to another. And another and another. Learn from others. Scrape together the money to attend conferences and workshops and classes. Join critique groups. Read! If you are willing to listen and learn from others and trust your inner writing voice, you will grow as a writer. Lee: As Regional Advisor, can you tell us more about SCBWI's presence in Asia, and about your region specifically? Holly: SCBWI Tokyo has about sixty members. We have monthly events usually on weekend days or evenings including guest speaker events, workshops, creative exchanges, gallery exhibitions, sketch and word crawls, and networking nights. We also have all-day events with guest editors, agents, authors and illustrators, and SCBWI Tokyo is the first SCBWI region to have a Translation Group, which focuses on the translation of Japanese children’s and YA lit into English. Our SCBWI Tokyo members are a wonderful mix of Japanese nationals and residents of Japan from around the globe. And our newsletter (available at www.scbwi.jp) is a treasure trove of interviews and features relating to Japan and Asia. Our membership is diverse, so the challenge as an RA is to forge a chapter that accommodates this diversity AND makes all this hard work of creating children’s books fun. Asia has a number of active and longstanding SCBWI chapters—Hong Kong, the Philippines, Taiwan—as well as younger chapters like Singapore, Malaysia and India. We try help each other out, share speakers when logistics allow, and we love to meet up at the Asian Festival of Children’s Content in Singapore. The Asia SCBWI chapters are poised to continue growing, and I believe we’ll soon be seeing more and more children’s and YA literature coming from Asia—both local-language and English-language stories set in and related to all the different corners of Asia. You can find out more about Holly at her website here, and about SCBWI Tokyo here. 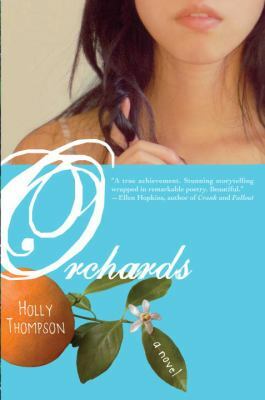 My thanks to Holly for the scoop on her book and region, and cheers to her for winning the Crystal Kite Members Choice award for Orchards! A debate in the UK on the merits of introducing an age-guidance rating system for Young Adult books inspired this article, WHY TEENS IN BOOKS CAN'T SWEAR, by YA author James Dawson. He also weighs in on role youth play in deciding what's right for themselves as readers. 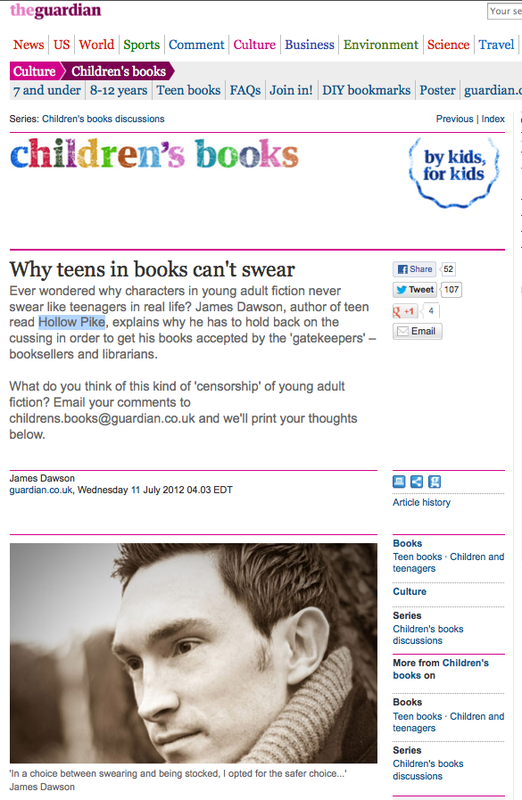 As a 12-year-old, I had no access to young adult fiction because it didn't exist. Instead I went straight to Stephen King and James Herbert. I was able to choose what was suitable and unsuitable. The rise of young adult means we are able to explore "the darkness" with the safety wheels on. Ultimately, James is against a rating system. What's your take? Do you think a rating system for teen books is a good idea? And how about in your writing? How far a swear word is too far for you? To understand my excitement about The Crystal Kite Award you have to understand a bit about our Midsouth region. To put it simply...we're wild. Midsouth is wild with enthusiasm, wild with talent, wild with creativity, and if you ever have to step into battle, these are the people you want by your side. They are fearless and loyal. They talked me off the ledge when no one wanted BETWEEN SHADES OF GRAY and I threatened to sell my soul to rock n' roll instead of writing. Our Midsouth RA, Genetta Adair, has been such an incredible mentor and team captain. She is full of sophistication and grace...and pretends that she doesn't hear us talking about the keg under our table each year at the Golden Kite luncheon. So to be honored by my Midsouth region is to be honored by family. And there is nothing more rewarding, more meaningful, than your family members lifting your chin and saying, "You did good, kid." The Midsouth region includes Kentucky and Tennessee. In the last three years, our region has grown in both numbers of members and in numbers of events and activities. We currently have 380 members. We host the Midsouth Fall Conference every September, and it has grown from about 110 attendees in 2008 with six faculty members to 160 attendees in 2011 with eleven faculty members. Since 2009, we have been blogging the Midsouth Fall Conference live. In addition to the fall conference, we offer a few regional events for writers and illustrators throughout the year. Last year, we coordinated a Picture Book Workshop with four speakers, a Revision Workshop with an editor and author faculty, an Editors' Day with two editors, and numerous schmoozes. This year, we have already offered a Media Training Workshop for PAL members, a Master Class on Plot with editor Cheryl Klein, and many schmoozes. Next month, we will host an Illustrator Workshop with Laurent Linn and a Back-To-School Workshop on school presentations. In addition, the Midsouth hosts an SCBWI booth at the Southern Festival of Books every October in Nashville, Tennessee. Ruta is a very active SCBWI member. She promotes SCBWI everywhere she goes, which is all over the country and throughout the world with publicity tours for BETWEEN SHADES OF GRAY, her Crystal Kite winning book (and Golden Kite, as well as numerous other awards). Ruta is a lovely person, always giving of herself and her time. She mentors writers in the Midsouth, offering encouragement and support. She was on faculty at the 2011 Midsouth Fall Conference and received rave reviews on the attendees' evaluation forms. I first met Ruta at the 2006 SCBWI Summer Conference in Los Angeles, and we hit it off from the start. She's kind, fun, and witty, and she charms everyone she meets. A group of us who met at that conference formed an online critique group for whole novels. Ruta's insights have proven spot-on, time after time. 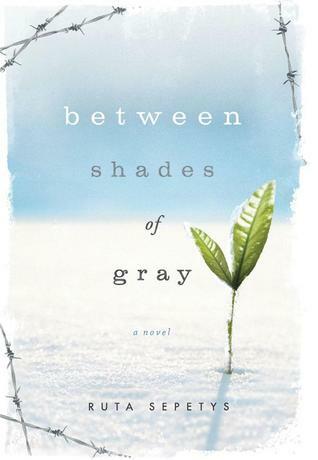 I helped critique BETWEEN SHADES OF GRAY before it was acquired by Philomel, and it's always held a soft spot in my heart. I'm thrilled for Ruta's successes! Ruta is an amazing author, always working to hone her craft, and devoted to writing the best possible manuscripts. I predict that all of her books will be best-sellers. You can find out more about Ruta at her website here and there's a BETWEEN SHADES OF GRAY website as well. Learn more about SCBWI Midsouth here. My thanks to Genetta for the info on SCBWI Midsouth and Cheers to Ruta on this latest win for her YA novel, BETWEEN SHADES OF GRAY! To commemorate and publicize the 2012 Golden Kite and Sid Fleischman Award winning books, SCBWI designed this beautiful poster, and is sending it out to schools, libraries, book stores, college art programs, and the press. The poster was designed using original artwork by Larry Day, winner of the Golden Kite for Picture Book Illustration in 2007 for his book, Not Afraid of Dogs. Lee: How did Larry get selected for this poster? Sarah: We wanted to use a past Golden Kite Picture Book Illustration winner and when we came across Larry Day we thought it would be a great match. His style lends itself well to poster art and he has a great graphic sense. We were also excited to have a totally new look from last year's poster, since Larry's style and John Parra's are so different. Lee: Where's the poster going? Sarah: We started the list of schools, libraries, book stores, colleges, publishers and literacy initiatives when we launched the posters last year. Throughout the year we added to the list as more industry people saw the poster and wanted it for where they worked. We are focused on sending the poster to people who will display it, appreciate it, and help get the word out about the award and the winning books. It's such a joy to walk in to a library, publishing house or independent bookstore and see it displayed! Lee: How many of them were printed? Sarah: This year we printed 750 copies. Just enough to distribute but probably not enough to sell at the conference or in our online store. We might give a couple away as prizes at the Summer Conference, so look out for that! Lee: Tell us about designing the poster! You packed in SO much information, and it's still really kid-friendly! Larry: It all started with a small sketch of a little girl from one of my sketchbooks. She is approaching the doorman of her apartment building. After I was asked to do the poster, I based that drawing on the idea of her handing him her golden kite. In my sketchbook drawing, the exterior of the building is loaded with ornamental embellishments. But that seemed wrong. I simplified the building. And then put the fun details inside the building. I really liked that there was the horizontal direction of the walkway and the vertical direction of the building. Lee: There's a fun find-the-fairy-tale-characters game-like quality to the design - did that evolve or was that part of your original concept? Larry: It felt like something was missing. It felt too simple. Not enough yet to explore visually. After showing my sketch to my friend and copywriter, Derek Clark, he came up with the brainstorm of adding characters inside. Perfect! Bingo! oo-la-la. That suited me just fine. I add detail only when it's necessary. There has to be a reason for it. And there was a definite reason here. I imagined myself as a kid pausing in the hallway or library wall to identify all the classic characters inside the windows. I changed the doorman to Ben Franklin. The book she is carrying was added and the three blind mice following her inside the building. Lin Oliver added the word balloon which I thought was a super idea. I really loved the idea that she is going inside to be with her most favorite characters. Lee: Can you share with us what medium and technology-steps you used to create this? Larry: No photoshop was used in the making of this poster. Nothing electronic, besides scanning to send. The word balloon was drawn separately and placed later. I drew this directly with pencil and watercolor on Twinrocker white watercolor paper. I prefer the random handmade texture and the eggshell white of Twinrocker. There's nothing like it. Any corrections made were with white gouache and watercolor. I like to keep it all head to hand to paper throughout the entire process. Lee: Did winning the 2007 Golden Kite Award for Illustration for Not Afraid of Dogs change things in terms of your career and/or in the making of your art? Larry: Yes. It was the first time I drew a book similar to my technique and pacing similar to the way I draw my storyboards: the material was gathered mostly from memory and my sketchbooks and the originals are smaller than actual size. And in watercolor and pencil. The Golden Kite Award definitely helped not only with terrific exposure in the children's book arena, but my peers in children's illustration connected with the visual storytelling. And there are a ton of remarkable illustrators in the field that I admire who are all about that connection of life. Lee: What can illustrators gain by being part of SCBWI? Larry: Illustrators will gain a very nice community. Support and recognition. SCBWI is hailed across the industry with a shared interest. Editors and art directors, creative directors and designers from the best houses belong to SCBWI. It's a great way for the beginner to rub elbows and see how the industry works and get a chance to work with the pros. And a great way for the published folk to keep up with it all. From the vantage point of the SCBWI you will find out what we all have in common as illustrators and writers. Lee: Any career advice for fellow illustrators? Larry: Yes. Study the illustrators throughout history. How did they visually tell stories? Study the painters. Dissect their work. Study the great film directors. They got their chops from the early illustrators. Picture books are a 32 page visual narrative. The joy is to create illustrations that embellish and connect with the words. Study the books where the author's words combine with the illustrations that create a space to live in that never existed before. And that can't exist without each other. If you were to frame it for your wall, you couldn't frame any one illustration. The entire picture book itself would have to be framed. Don't toss anything out. Except the eraser. Lee: So much great advice... Thanks, Larry! 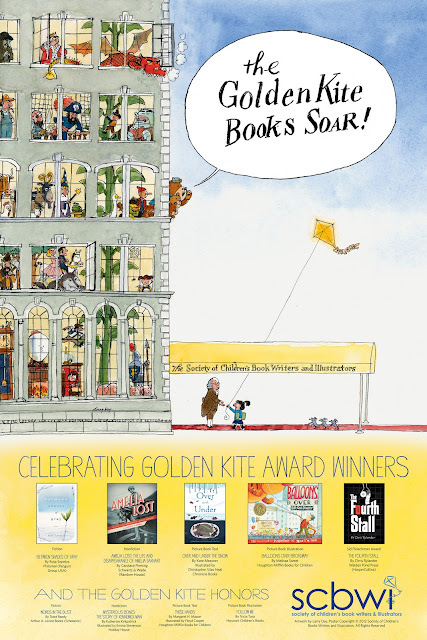 Have you seen the 2012 Golden Kite Poster in person? Let us know where in comments! 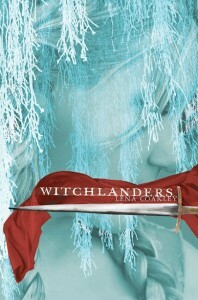 Lena: WITCHLANDERS is about a poor farm boy named Ryder who must discover his heritage as the descendent of witches in order to defeat a magic that threatens his village. It’s a YA fantasy adventure full of snow monsters, swords and singing magic all wrapped up in a frozen, wintry setting. I loved writing it—which is a good thing because the book took me ten long years to finish! It’s my first novel, so winning the Crystal Kite for it has just floored me. It’s such an enormous honor. Or “honour” as we Canadians say. Lee: I love debut novelist success stories! Can you share what you feel you've gained by being a member of SCBWI? Lena: The highlight of my SCBWI membership was probably attending the Annual Summer Conference in LA in 2006. I loved how positive and encouraging everyone was. There’s a lot of doom and gloom about the publishing business going around and I was happy to see that SCBWI wasn’t falling into that. I just walked around goggle-eyed at all the literary stars like Caroline B. Cooney and Mo Willems… Jane Yolen sat down at the table next to me to eat her lunch and I think I stared at her throughout her whole sandwich, poor woman! It was at that conference that the manuscript for WITCHLANDERS (although it had a different title back then) was deemed worthy of consideration for the Sue Alexander Most Promising New Work Award. What validation! It didn’t win, but just being considered gave me such hope that I was going in the right direction. Later that year I won a Toronto Arts Council grant for the work. If those two things hadn’t happened, I might have thrown in the towel. This summer I’ll be attending a local SCBWI conference in Niagara, Ontario, and I’ve just been asked to come to Ottawa for a fall event to receive my beautiful Crystal Kite (!) and to give a speech about my writing process. I’m really looking forward to getting to know my local SCBWI community a bit better, because for me getting to know other authors and illustrators, whether online or in person, has been the best thing about joining the organization. Lena: I have taken so many writing courses where people come in with wonderful first chapters and I think, “This person can write; this book is going to sell.” Sometimes I’m right about that. But oftentimes that author comes in with a totally different Chapter One the next week, and the next. It takes persistence and commitment to finish a novel and even more persistence and commitment to sell it. Just look at WITCHLANDERS. Ten years! Keep at it and keep perfecting your craft and you will get where you want to go—I truly believe that. Oh! And join SCBWI! The Americas Crystal Kite category includes chapters in Canada, Mexico, South and Central America. In Canada we have two chapters: Canada East and Canada West. Canada East is honored that this year's Americas winner Lena Coakley is from our chapter. Canada East works closely with our sister chapter Canada West. Canada East includes the provinces of Ontario, Quebec, New Brunswick, Nova Scotia, Prince Edward Island, Newfoundland and Labrador, and the territory Nunavut. We currently sit at about 320 members. To bring members together across the vast geographic region that our chapter covers we have a yahoo listserve, a facebook page, a twitter feed, an illustrators' blog, and virtual critique groups. We put on two major events a year at the moment: a spring retreat-style conference in Niagara Falls, Ontario, and a fall conference in Ottawa, the nation's capital. Smaller schmoozes are held informally throughout the year in different parts of the region. It's wonderful to see Lena win this year's Crystal Kite. She's been a member of SCBWI since 2005. Lena has been dedicated to working on her craft for a long time. She previously had two picture books published in Canada. Here in Canada we're lucky to have several strong and important Canadian organizations for writers and illustrators. Their national focus complements SCBWI Canada East's focus on helping writers and illustrators find and secure publishing opportunities internationally through SCBWI's international network. That makes us a gateway to the world of children's publishing around the globe. Seeing Lena's novel WITCHLANDERS win the Crystal Kite among all the wonderful books published in the Americas is exactly the type of success story that SCBWI Canada East tries to foster. You can find out more about Lena Coakley at her website, and there's a Witchlanders website as well. More information about SCBWI Canada East is available at their website here. My thanks to Lizann for the info on SCBWI Canada East, and Cheers to Lena for winning the Crystal Kite Members Choice Award for her YA fantasy novel, WITCHLANDERS! 17 Intensives for #LA12SCBWI Still Have Room for YOU! Emma D Dryden, the founder and principal of the children’s book editorial and publishing consulting firm, drydenbks provides editorial and consultancy support to authors, illustrators, agents, foreign and domestic publishers, and eBook and app publishers. Her children’s publishing career began at Viking and Random House, followed by a position with Margaret K. McElderry Books. After McElderry retired, Emma became VP, Editorial Director of McElderry Books, and in 2005, VP, Publisher of Atheneum Books for Young Readers and Margaret K. McElderry Books. Emma has edited over 500 books for children,from board books and picture books to poetry, novelties, non-fiction, MG, and YA fiction and fantasy. As publisher, she oversaw the annual publication of over one-hundred hardcover and paperback titles. Authors and illustrators she has edited include Ellen Hopkins, Karma Wilson, Susan Cooper, Alan Katz, Raul Colon, Lee Bennett Hopkins, David Diaz, and Paul Zelinsky. Emma is also the leader of the Editorial Quality Panel for picture eBook platform uTales and is on the Society of Children's Book Writers & Illustrators Board of Advisors. Ellen Hopkins is a poet and the award-winning author of 20 nonfiction books for children and eight NY Times Bestselling young adult novels-in-verse. Her first novel for adults, Triangles, published in 2011. In the fall of 2012, her ninth YA novel, Tilt (a companion to Triangles) will publish, along with a crossover novel, Collateral. Ellen lives near Carson City NV with her husband and teenage son, a bottomless well of inspiration for her YA fiction. Melissa Stewart is the award-winning author of more than 150 nonfiction books for children, a member of the SCBWI Board of Advisors, and the PAL Cordinator for SCBWI's New England region. Her recent picture book Under the Snow was a Junior Library Guild Selection, a Charlotte Zolotow Award Honor Book, and a Bank Street College Best Children’s Book of the Year. It was also nominated for thirteen state book awards. Sonya Sones has written four YA novels in verse, which have received many honors, including a Christopher Award, the Myra Cohn Livingston Award for Poetry, the Claudia Lewis Poetry Award, and a Los Angeles Times Book Prize nomination. She’ll be the first one to tell you that in 2010 her novel in verse, What My Mother Doesn’t Know, made the ALA’s list of the “Top 100 Most Challenged Books of the Decade.” Sonya’s latest book, the Los Angeles Times bestseller The Hunchback of Neiman Marcus, is her first novel in verse for grownups—a coming of middle-age story about learning to grow old disgracefully. She is this close to finishing her fifth YA novel in verse. Dan Yaccarino has written and illustrated over fifty children’s books, most notably, The Fantastic Undersea Life of Jacques Cousteau, Unlovable, Every Friday and Go Go America. His bold, stylized illustrations add wit and energy to the work of such prestigious authors as Margaret Wise Brown, Jack Prelutsky, Kevin Henkes and Patricia MacLachlan in addition to his own stories. He is also the creator and producer of his own animated television series Oswald and the Emmy Award-winning Willa’s Wild Life, as well as the designer behind Nick Jr's Emmy-winning The Backyardigans. Dan lives in New York City with his family and vintage toy collection. Jill Corcoran is an agent with The Herman Agency representing PB, CB, MG & YA. Her current interests include high concept Young Adult and Middle Grade Thrillers, Mystery, Romance, Romantic Comedies, and Adventure manuscripts. With an English degree from Stanford University and an MBA in Finance and Marketing from the University of Chicago, Jill has marketed everything from sneakers to cereal at Leo Burnett Advertising, LA Gear, Mattel, and at her own consulting company, LAUNCH! New Product Marketing. Clients include Robin Mellom, Janet Gurtler, Martha Brockenbrough, Kelly Milner Halls, Ralph Fletcher, & Jen Arena. Jill is also the editor of Dare to Dream-Change the World (Kane Miller, 2012), a poetry anthology which includes Ellen Hopkins, Jane Yolen, J. Patrick Lewis, & Lee Bennett Hopkins. • What kinds of books are best suited for adaptation? • What’s the author/illustrator’s role in that process and who else is involved? Eddie Gamarra is a literary manager/producer at The Gotham Group, which represents screenwriters, directors, animators, authors, illustrators, publishers, and animation studios. He specializes in children’s & family entertainment, including animation, live action and literature ranging across picture books, novels, anthologies and graphic novels. His clients include numerous New York Times best-selling authors and illustrators as well as Oscar, Emmy, Caldecott, Newbery, and Geisel award winners and develop and sell projects for all platforms ranging from online shorts to live action feature films. In addition to his work at The Gotham Group, he has consulted for Teen Magazine, National Geographic's TV series HOLLYWOOD SCIENCE, and MANswers on Spike. He has lectured at Vassar, North Carolina School of the Arts, and University of Arkansas, Little Rock. He received his BA in Psychology from Vassar College, a Masters in Cinema Studies from NYU and a PhD in Psychoanalysis & Film from Emory University. Bonnie Bader, Editor-in-Chief of Early and Beginning Readers at Grosset & Dunlap is also the head of the U.S. arm of Fredrick Warne, which publishes Beatrix Potter’s Peter Rabbit, Flower Fairies, and Spot. At Grosset, Bonnie oversees all of Penguin’s leveled readers, which fall under the imprint, Penguin Young Readers. In addition, she is starting up an 8x8 picture book program, and a beginning/early chapter book program which will launch in 2013. She continues to edit and oversee several series including Hank Zipzer by Henry Winkler and Lin Oliver, Katie Kazoo Switcheroo and George Brown, Class Clown by Nancy Krulik, and Frankly Frannie by Amanda Stern. Upcoming series include Almost Identical by Lin Oliver (Fall 2012) and The Magic Bone by Nancy Krulik (Summer 2013). Bonnie is also a member of the SCBWI Board of Advisors. Arianne Lewin is an executive editor at G. P. Putnam’s Sons, a division of Penguin Young Readers Group. She edits all kinds of books, with an emphasis on young adult novels and fantasy. Ari has worked with Mike Rex, Cinda Williams Chima, Rachel Hawkins, Katie Alender, Marie Lu and Jessica Spotswood. When reading manuscripts, Jen Rofé asks herself “So What? Why should I care about these characters and their story?” In this three-hour intensive, we will examine the plots of successful books to uncover how the author made us care, and we will discuss techniques for developing your own “So What?” factor in your manuscript or work-in-progress. Be warned: Side effects of this intensive include: Torturing your- self with “So what?”; looking for the “So What?” factor in books you read; and writing strong, compelling stories. Jennifer Rofé handles children's fiction projects at Andrea Brown Literary Agency ranging from picture books to young adult. Middle grade is Jennifer's soft spot and she's open to all genres in this category, especially the tender or hilarious. She is always looking for fresh and distinct voices; stories that simultaneously tug at her heartstrings and make her laugh out loud; and "adorkable" heroes. As for YA, Jennifer is drawn to contemporary works; dramatic or funny romance; and urban fantasy/light sci-fi. She's especially interested in mind-blowingly smart projects that are layered, complex, and unexpected, and she appreciates big, developed worlds. In terms of picture books, early readers, and chapter books, she is interested in character-driven projects and smart, exceptional writing. Do you have a vivid picture demanding to tell a story? Do you have a lively character struggling to find a voice? Are you ready to be an author-illustrator? If you are an illustrator with an original idea and you are looking for the right shape and format, this day-long intensive will help you create a story that is as personal, compelling and imaginative as your art. Tony DiTerlizzi is a new York Times bestselling author and illustrator who has been creating books with Simon and Schuster for over a decade. From his fanciful picture books like, Jimmy Zangwow’s Out-of-this-World Moon Pie Adventure, G is for One Gzonk! and The Spider & The Fly (a Caldecott Honor book), to chapter books like Kenny and The Dragon and The Search for WondLa, Tony always imbues his stories with a rich imagination. His middle-grade series, The Spiderwick Chronicles (with Holly Black), has sold millions of copies, been adapted into a feature film, and has been translated in over thirty countries. Arthur A. Levine is Vice President and Publisher of his own imprint, Arthur A Levine Books, which is celebrating its 15th Anniversary at Scholastic Inc. While Levine has edited and published exceptional books for children of all ages including Shaun Tan's Lost and Found, Jonah Winter's Just Behave Pablo Picasso! !, Dan Santat’s Sidekicks! and Lisa Yee’s Warp Speed, he is perhaps most recognized as co-Editor of the Harry Potter series by J.K Rowling. Levine is the author of Monday is One Day , illustrated by Julian Hector, All the Lights in the Night (a Sidney Taylor Honor Books) illustrated by James Ransome, and the forthcoming A Very Beary Tooth Fairy illustrated by Sarah Brannen. Arthur takes special pleasure in launching the careers of authors he’s met through SCBWI including Martha Brockenbrough (Devine Intervention), Mike Jung (Geeks, Girls and Secret Identities) and many others. Laura Godwin is Vice President and Publisher of Henry Holt Books for Young Readers (a division of Macmillan Children’s Publishing Group), where she has worked for over twenty years. Jackie Kelly, Eugene Yelchin, Deborah Heiligman, Eric Carle, Peter McCarty, Dave Milgrim, Bryan Collier, Denise Fleming and William Low are some of the many authors with whom she works. Laura likes nothing better than working with an author or illustrator at the beginning of his or her career, and has been thrilled to see five such newcomers go on to become either Newbery or Caldecott honor recipients. She grew up in Alberta, Canada and now lives in Manhattan. Rubin Pfeffer launched his career as a designer for Macmillan in 1974 after which he joined Harcourt Brace Jovanovich serving for more than 27 years with responsibilities spanning from entry level designer to President of the Trade division.In 2001, Rubin joined Pearson, Inc.as SVP and Chief Creative Officer of the Pearson Education companies where he coordinated cross-company product development. He served as SVP and Publisher for Simon & Schuster Children’s Books. Imprints reporting to Rubin included S&S Books for Young Readers, Atheneum, McElderry Books, and Aladdin Paperbacks.His imprints achieved the Newbery Medal and Honor and the Caldecott Hono. In 2008, he launched Beach Lane Books, a commercial children’s picture book imprint. Rubin joined the East West Literary Agency in December, 2009, as a partner and works with talents as David Diaz, Patricia MacLachlan, Richard Jesse Watson, Susan Cooper, Michael Hague, Jeff Mack, and a host of other published and new talents. He served as a judge of NAPPA’s annual round-up of best children’s books for the years 2010 and 2011and has consulted for the digital publisher Ruckus Media Group where he executive produced Ruckus’ first original story app for children, A Present for Milo, which quickly became a bestselling children’s app on iTunes. Antoinette Portis graduated from the UCLA School of Fine Arts and then––since being a video performance artist paid her the nice round sum of nothing whatsoever––she worked as a graphic designer and advertising art director. She was a creative director at Disney for many years before she bolted to do what she had always wanted to do: be left alone in a room to write and make pictures. Her first book was the best-selling Not A Box, a New York Times Best Illustrated Book and a Theodore Seuss Geisel Honor Book. A Penguin Story was also a New York Times Best Illustrated Book. She was one of four recipients of the 2010 Sendak Fellowship. Antoinette lives in Southern California with her husband, Michael. They have a daughter who is also an artist. Melissa Sweet has illustrated many award winning children’s books from board books to nonfiction and jacket covers. Her collages and paintings have appeared in the New York Times, Martha Stewart Living and for eeBoo Toys. She has written and illustrated Tupelo Rides the Rails, Carmine: A Little More Red, a New York Times Best Illustrated Children’s Book, 2005 and the 2012 Sibert Medal winner, Balloons Over Broadway :The True Story of the Puppeteer of Macy’s Parade. Melissa illustrated A River of Words: The Story of William Carlos Williams by Jen Bryant, a 2009 Caldecott Honor book and a New York Times Best Illustrated, among other awards. When she is not in her studio, she can be found taking in an art class, hiking with her dogs or riding her bicycle. She lives with her family in Rockport, Maine. Eugene Yelchin is a Russian-born author and illustrator of children’s books. In 2012, Breaking Stalin’s Nose, his first illustrated novel, received a Newbery Honor award. That same year, Won Ton, A Cat Tale Told In Haiku, which Yelchin illustrated, became an American Library Association Notable Book, among numerous other awards. In 2010, his illustrated picture book Rooster Prince of Breslov received the National Jewish Book Award. Yelchin received a Tomie de Paola award in 2006 at the SCBWI winter conference. Since then his books received starred reviews and were included in the Best Books of the Year lists. Pat Cummings is the author and/or illustrator of over 35 books for young readers. She also edited the award-winning series, Talking With Artists, which profiles prominent children's book illustrators. She teaches at Parsons and Pratt, and her children's book illustration class has a growing number of notable illustrator/authors among its graduates. Pat serves on the SCBWI board as well as on the boards of the Authors Guild, the Authors League Fund, The Authors Guild Foundation and the Eric Carle Museum of Picture Book Art. Along with visiting schools, universities and organizations to speak about children’s books, she conducts a summer Children’s Book Boot Camp that brings writers and illustrators together with top editors and art directors from major publishing houses. Cecilia Yung is Art Director and Vice President at Penguin Books for Young Readers where she oversees illustration and design for two imprints, G. P. Putnam's Sons and Nancy Paulsen Books. She is fortunate to have worked with some of the major illustrators of children’s books, but the highlight of her work is to discover and develop new talent. She is on the Board of Advisors of SCBWI (Society of Children’s Book Writers and Illustrators) as well as a member of its Illustrators Committee.